Labuan is a special region of Malaysia, where companies are incorporated in a different manner than the one applicable in the rest of the country. Moreover, companies registered here are also subject to a different taxation system, which is more appealing to the investors, as the jurisdiction provides many tax exemptions and incentives. There are several types of companies which can be incorporated in Labuan and our team of company formation representatives in Malaysia can offer an in-depth presentation on the taxation regime applicable to each type of company. One of the most important characteristics of the taxation for companies in Labuan is the fact that the principles are differentiated according to the activity of the company. For example, an investment holding company can be tax exempt while a trading company can choose between two different taxation options. Below, our team answers some of the most commonly asked questions about taxation in Labuan. We can help investors understand both the in-depth taxation principles and the other rules and regulations related to company formation. What are the tax laws for Labuan companies? Investors interested in company formation in Malaysia should know that the businesses registered in Labuan benefit from a more favorable taxation system, applicable under the Labuan Business Activity Tax Act 1990. The legal framework provides a third type of company, Labuan Charged Company, which falls under the taxation system applicable in Malaysia and which can benefit from the provisions of the treaties signed for the avoidance of double taxation signed by the Malaysian authorities. Our team of company formation agents in Malaysia can offer more details on the way in which taxes are applied in this case. What is the taxation system like in Labuan? Trading company: the investor will have to pay a 3% tax on the company’s income (which has to be verified under a local audit) or pay a flat tax of RM 20,000 (no audit required). Investment Holding Company: no tax is applicable and it is not subject to audit requirements. Dorman company: relevant tax documents need to be submitted but it is not subject to tax or auditing requirements. Companies engaged in business with Malaysian residents: these are subject to a tax rate of 24% on the net profit. A trading company refers to businesses operating in the fields such as banking, insurance, trade, import, export, and others. In some cases, the management account can be subject to auditing in case of the holding company and the dormant company. A holding company is one that is not engaged in trading activities itself; it only owns stocks, shares in other companies, securities or immovable property in Malaysia or in other locations. A Labuan company that is engaged in doing business with a Malaysian resident company, whether individual or company, will not only be required to pay tax at a different rate but it will also need to have its accounts audited. Furthermore, regardless of the company type, the investors are exempted from paying the withholding tax of dividends, as well as on the capital gains. The local legislation does not prescribe a sales tax, but the goods and services tax (GST) is applicable for an income above RM 500,000. Are double taxation treaties applicable in Labuan? Malaysia has entered into more than seventy treaties for the avoidance of double taxation and part of these agreements also apply to Labuan, as a federal territory. However, benefiting from these treaties is subject to certain conditions and not all countries recognize Labuan as being part of Malaysia for the purpose of applying the treaty. The countries that do not apply the treaties in Labuan are the following: Australia, Germany, Indonesia, India, Chile, Japan, Luxembourg, Seychelles, the Netherlands, South Africa and South Korea, Sweden, Spain, and the United Kingdom. Apart from these fourteen countries, the rest of the double tax treaties signed by Malaysia can be applied to Labuan entities. For the purpose of benefiting from the treaty provisions, a Labuan company can opt to be taxed under the Malaysian Income Tax Act. In most cases, this applies to those Labuan companies that are engaged in business with Malaysian companies, also referred to as non-Labuan business activities. One of our Labuan offshore company agents can give you more information about permanently opting to be taxed under this regime. We can also provide complete information about a double tax treaty signed between Malaysia and another country. 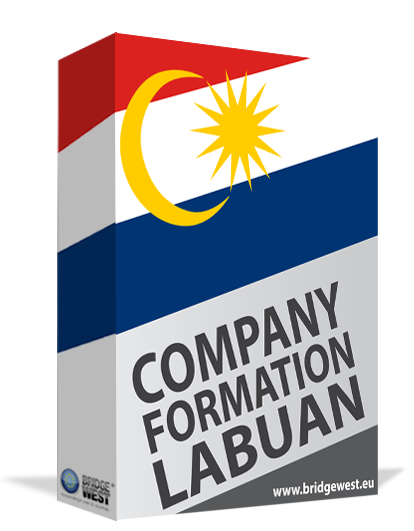 Labuan is a jurisdiction that allows for a fast and simple company formation process. Foreign ownership is 100% permitted and many foreigners choose to open a company because of the advantageous taxation regime, as stated above. - Choose a type of structure: the Labuan Company, or the International Business Company, the Protected Cell Company, and the Partnerships are the options available. - Choose a company name: it should be an original name and it should be reserved once it is checked for availability. - Prepare the company documents: the Memorandum and Articles of Association should be drawn up in accordance with the type of company. - Obtain licenses: some types of activities are licensed in Labuan, for example, a securities license is needed for businesses engaged in this type of activity. One of our agents can help investors open a company in Labuan. Below, we present the main activities that can be undertaken by those Labuan companies engaged in business with Malaysian residents that do not need to be reported to the Labuan Financial Services Authority (FSA). - Labuan companies which make deposits with an individual carrying out a business in Malaysia. - Labuan companies which prepare or maintain books or records in Malaysia. - Labuan companies which hold leases of property for use in its operations or for housing its employees. - when a Malaysian resident holds shares in a Labuan company. These are just some of the transactions that do not need reporting with the FSA. The beneficial taxation regime in Labuan is one of the primary reasons why the jurisdiction is attractive for many international investors. For more information about taxation and other topics, please do not hesitate to contact our Labuan company formation agents. Investors are invited to contact our team of company incorporation consultants in Malaysia if they have questions referring to company registration in the Labuan region or on the taxation system imposed here.